So you've got iOS 4 installed on your iPhones and iPods and you want to know which apps in the App Store are already compatible with it. There are some great roundups around about it. I've decided to put together a list of my favorite apps that are already using iOS 4's new functionalities such as state-saving and multitasking. Plus, I've collected some of the "subtle changes" Apple has put into iOS, those little things that make you love Apple every time. Nik Fletcher has another similar collection too, check it out here. What are your favorite apps and changes in iOS 4? Tell us in the comments below. Bills is the app I use every day to keep up with my expenses and bills to pay. It support push notifications, and now it comes with iOS 4 state-saving goodness. Sweet. Pastebot is Tapbot's much popular application which allows you to store your iPhone clipboard one item at a time. When Apple announced the new multitasking features of iOS 4 we all wondered whether Pastebot would be able to fetch clipboard items in the background; sadly, it's not possible. You still have to open the app every time. But with the multitasking tray and perfect state-saving, it's way better than before. 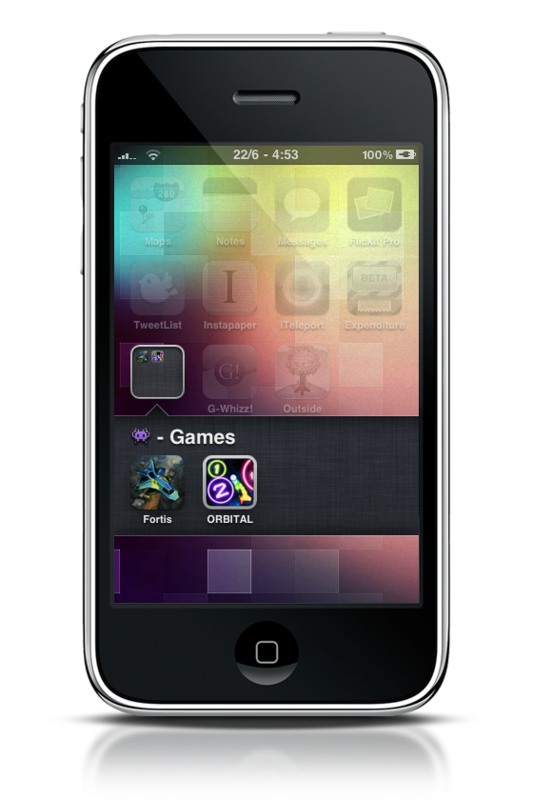 Flickit Pro is one of the first apps that really uses all iOS 4 functionalities. It lets you go back exactly to what you were doing before pressing the home button and supports task completion for image uploads. I managed to select a photo for upload, quit the app and check my emails, go back and I found it online. Magical. Despite not being able to upload files with task completion like Flickit Pro, persistent state with iOS 4 support on Dropbox is a killer feature. I can now write articles in the WordPress app - which supports multitasking - and read references in PDFs living in Dropbox, Once the new upload system goes live, Dropbox for iPhone will be perfect to me. What can I say about Pandora? It plays audio in the background and it's got widget controls in the multitasking drawer. It feels like a new app, and it feels so damn right. This is what iOS was made for. As for features, there are tons worth mentioning, but I guess you've probably already read everything about them somewhere else, like Apple's website. Here I've rounded up some of the new little new touches I'm in love with. 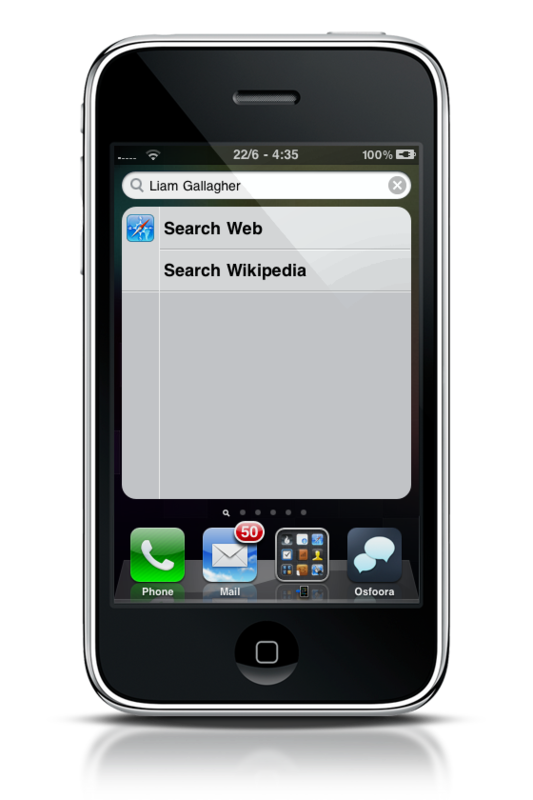 You can now sync notes on your device with MobileMe and email accounts. To me, this is just great as, no matter what, Notes app is still the best when it comes to quick, on-the-go input. You can now search Wikipedia from the Spotlight. Just type something, select Search Wikipedia and boom, you're redirected to the entry page if you typed the entry correctly. Useful. Just like on the iPad, you get spelling suggestions via the usual copy / paste popup menu. You can choose to disable the "simple passcode" lock of 4 digits and type anything you want. A great step forward for your device security. As you can see from the screenshots, they're too nice to not mention them here. 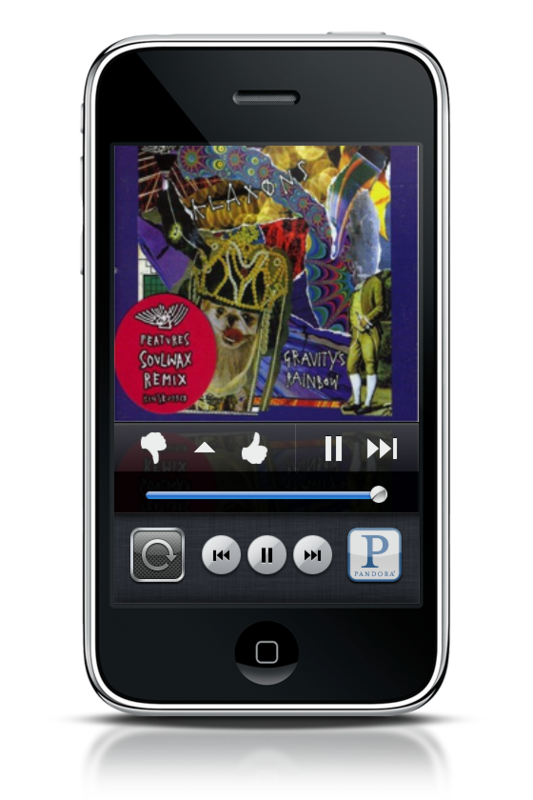 When browsing iPod.app, you get the album artwork on top of a song list, together with a much cleaner layout. I love it. 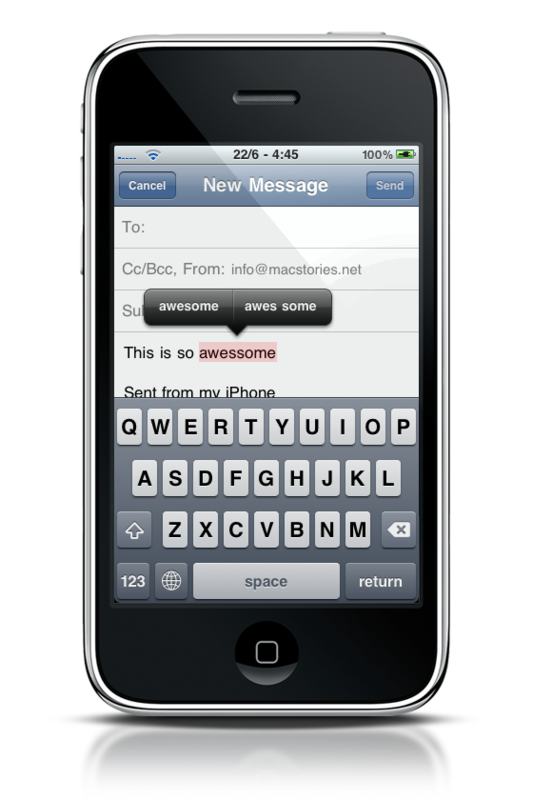 Animations in iOS 4 have been completely rewritten. Pages seem to bounce a little when moving between them, and the open / close animation for apps is something you really have to see.